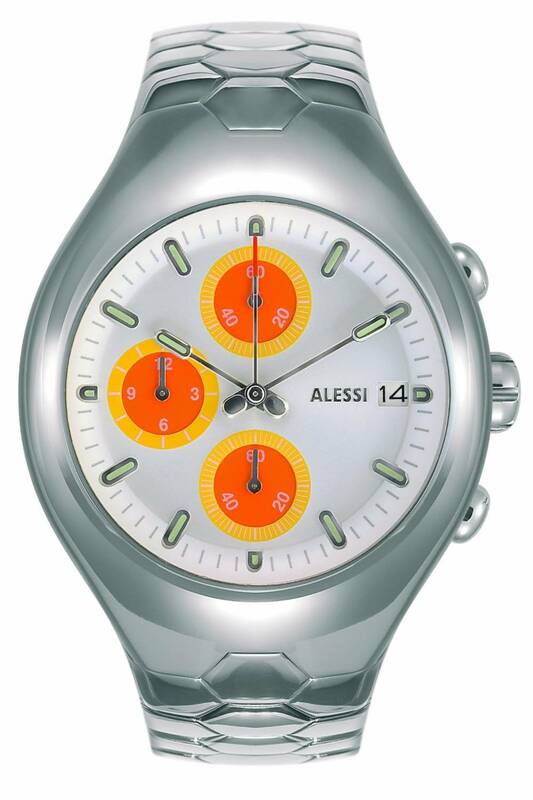 This Alessi Gents Chronograph Watch has been deisgned by Guido Venturini. Born at Alfonsine in 1957. Architect, designer and explorer in the field of industrial design, interior design and architecture. His design work for Alessi has produced the range of Nuba Chronograph watches which are manufactured by Seiko. Each watch is supplied with an Alessi Box and Warranty card.